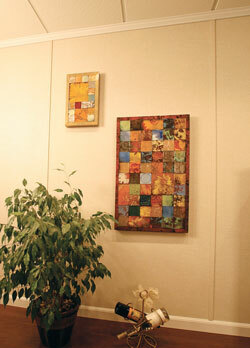 Our basement wall products are strong, appealing, and long-lasting. All basement wall products are not created equally. When you're selecting the best basement finishing product for your home, be sure to choose a product that will be able to deliver the kind of results that you want for a finished basement. 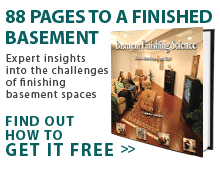 Total Basement Finishing has several basement wall options depending on your unique needs. To see what product will work best for you, contact your local TBF dealer and schedule a free estimate! We already know that wood panels and drywall (even mold-resistant drywall) is not the best option for a finished basement. These products simply cannot hold up against basement moisture, mold, and rot. Additionally, neither wood, drywall, mold-resistant drywall, or fiberglass and cloth wall panels achieve the unbroken sheet of R-10 or higher insulation recommended by the International Energy Conservation Code. If you're interested in installing shelving, a plasma TV, cupboards, decoration, or any similar objects on the walls, don't count on drywall, mold-resistant drywall, or fiberglass and cloth insulation to do the job properly. None of these products can be expected to hold even 15 pounds without the need to locate a stud or with the aid of a special kit. Additionally, drywall and mold-resistant drywall is very difficult to clean of marks and stains, and fiberglass and cloth panels absorb liquids very rapidly and can be even more challenging to clean. If you're looking to install the best in basement wall products, look to Total Basement Finishing's EverLast™ Wall Panels. These heavy-duty basement wall panels are durable enough for the daily wear and tear of a children's play room and is able to support the weight of 300 pounds! It installs with no studs, so there's no wood or metal to rot, rust or corrode, and it comes with a 50 year warranty against moisture and mold. Total Basement Finishing is proud of the fact that its basement wall products are warrantied even against most floods, and they clean easily from stains and marks. For comfort and convenience, there's nothing like EverLast™ Basement Wall Panels! They come with an industry-leading R-13 wall insulation with each panel, and they're strong enough to work as fantastic wall partitions for closets, rooms, and basement bathrooms. They install across the basement wall in an unbroken sheet of insulation that will keep your family warm and comfortable, and they'll begin saving you hundreds of dollars each year in energy bills the day they're installed! If you're installing a basement wall product, be sure to ask many questions, find out what it can do, and check out the warranty.